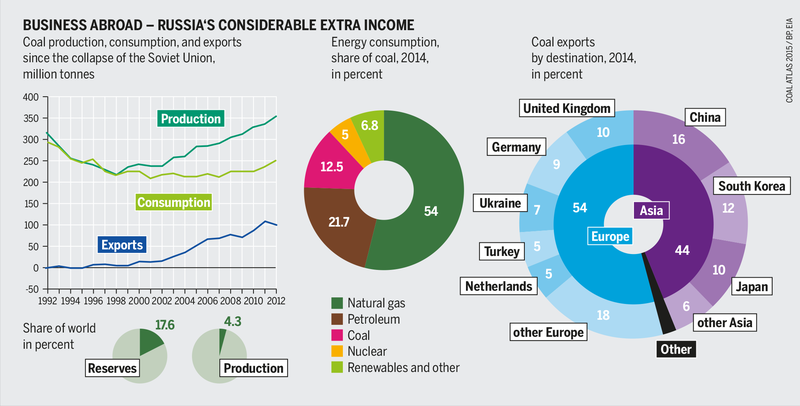 On a national scale, coal is less important in Russia than natural gas. But eport revenues haven been growing over the last decade. Creator: Heinrich Böll Foundation. This image is licensed under Creative Commons License. 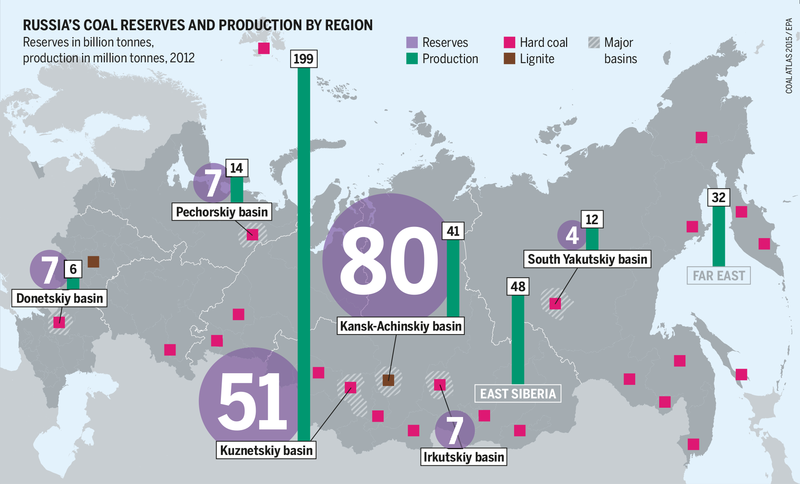 Vast distances and high transport costs are the norm in Russia. Creator: Heinrich-Böll-Foundation. This image is licensed under Creative Commons License. 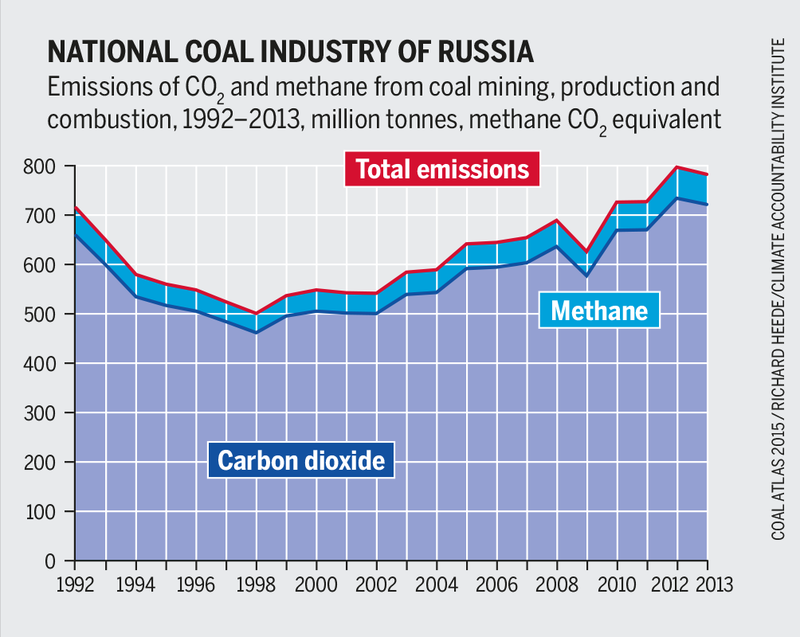 Obsolete technologies and negligence: due to lack of money and the will to reduce emissions. Creator: Heinrich Böll Foundation. This image is licensed under Creative Commons License.